At California Forward, we believe the purpose for political reform is to shift power back to the people—not to bolster political parties or empower special interests. In 2008, California Forward’s Leadership Council identified open primaries as one of several political reforms that would contribute to the incremental and necessary process of shifting power back to the people. Analysis conducted for CA Fwd at that time documented the potential for improving voter engagement and policymaking. Along with Citizen’s Redistricting (Proposition 11 of 2008) and term limit reform (Proposition 28 of 2012), early evidence suggested that the Top Two primary is having a positive effect on many candidates and incumbents. More voters, including third party and decline-to-state voters, have the chance to have a say earlier in the process. And voters have a broader range of choices among candidates, even within the same party. But we wanted to delve deeper than what happens on election day to learn how these reforms are affecting the longer-term process of governing in California. So, we commissioned a set of interviews with current state lawmakers, as well as leaders outside of government who have a strong interest in effective state governance, to hear directly from those working in or around the Capitol. The interviews were not intended as a scientifically rigorous research study. Others, such as the Public Policy Institute of California, are taking on that task. Rather, we sought to speak with lawmakers and others who, if the reforms are playing out as supporters hoped, should be seeing and feeling those effects and have positive experiences to share. We heard stories of how Top Two is empowering the formation of more moderate coalitions and bipartisan behavior within the legislature. Lawmakers reported increasingly feeling they can be authentically themselves—the person their constituents elected and expected to show up and represent them in Sacramento—rather than feeling pressured to toe the line on party orthodoxy. Some felt that Top Two is beginning to have a positive influence on public policy, as lawmakers negotiate policy positions that reflect the more nuanced views of their constituents, rather than the ideologically extreme views of special interest groups. Rob Lapsley, president of the California Business Roundtable, summed it up this way: "At the end of the day, the fundamentally important question is: does this strengthen our democracy and create more confidence in engaging people to vote, or not? The answer so far is that the combination of Top Two, redistricting reform and term-limit reform has been good for voters. And it’s been good from a legislative standpoint.” That’s evident in the much higher rating voters are giving the legislature since these reforms were passed. At California Forward, we will continue to support electoral innovations that evolve toward the public interest. 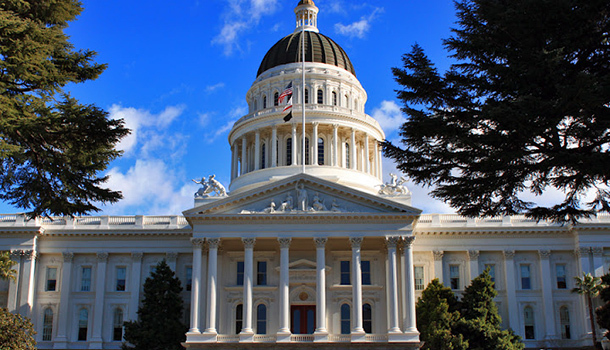 But for now, we believe that California’s Top Two primary, in conjunction with other reforms such as the Citizen’s Redistricting Commission and term limit reform, is having a positive overall impact on how the state is governed. And that is something to be celebrated, not demonized or abandoned. Lenny Mendonca is co-chair of California Forward Leadership Council and director emeritus (retired senior partner) of McKinsey & Company. Pete Weber is co-chair of the California Forward Leadership Council and founder of the Fresno Bridge Academy.